Benefits of spinach and yummy recipes to eat spinach! The Benefits of Spinach in Your Smoothies! The benefits of spinach have long been known, from Popeye’s bulging muscles to the saying “Eat your greens!”. It seems to be common knowledge that spinach is extremely good for us. So why aren’t we getting enough? In trying to have a balanced diet, it can be difficult to make sure we eat leafy green vegetables in the right quantities. But spinach is one vegetable we should always include in our diets. Native to Asia, spinach is an excellent source of iron, calcium and beta carotene, vitamin C and important minerals. 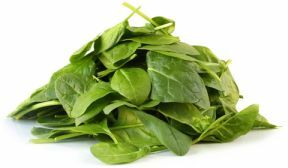 A 60 gram serving of boiled spinach contains roughly 1.9mg of iron, while a similar amount of other green vegetables may contain less than 0.9g. Spinach is in fact quite a super food, as well as iron, vitamins and minerals it is also high in phytonutrients – the chemicals found in plants that are beneficial to the human body. One of these phytonutrients is lutein, which is essential for healthy vision. Another is alpha lipoeic acid, also an anti-cancer agent and blood sugar stabilizer. Spinach is also high in flavonoids, which can prevent cancer and in fact spinach extracts have been shown to slow cancer cell growth in certain studies. Spinach nutrition is a heart-helper too. The vegetable is high in potassium and folic acid, both of which reduce the risk of hypertension and cardiovascular disease. Spinach is one of only two vegetables that contain co-enzyme Q10, essential for muscle strength and heart health. Spinach comes in several varieties, the savoy spinach being the most common. Flat leaf spinach, such as baby spinach, is very popular and easy to wash and add to salads. Fresh spinach has crisp leaves that gradually become limp as the spinach loses freshness. To store spinach and maintain its quality, place unwashed spinach in a plastic bag and keep it in the refrigerator. Always try to use spinach within a few days as it quickly loses its nutritional value. It can be frozen for up to eight months while retaining most of its nutrients. Frozen spinach is convenient for making a green smoothie. You get to skip washing the greens. It is commonly thought that cooking vegetables removes much of the nutrient value. Spinach nutrition shows that while the cooking process reduces vitamin C content and folate, it does increase lutein and beta-carotene bioavailability. Enjoy raw spinach in salads but whenever raw spinach is eaten ensure it is washed and dried well before eating. If getting the family to benefit from spinach nutrition is a challenge, there are ways to create delicious spinach recipes, so that everyone can enjoy the benefits of spinach. It can be finely chopped and added to pastas, rice dishes, pies and lasagna, stews and soups. Spinach and ricotta triangles are delicious, and combining baby spinach leaves with pasta and tomatoes makes a fresh, yummy salad. The healthiest way to sneak spinach into your family’s diet that you may not have thought of before is a green smoothie. It’s not quite vegetable juice. Green smoothies are made by thoroughly blending a portion of green vegetables with a combination of fruit, resulting in a nutritious and sweet tasting drink. To get the benefits of spinach, the leaves must be washed and dried well before blending. The ingredients are blended until the spinach and fruit are completely “smoothied”. The key here is that by breaking up the spinach the nutrients are released and more easily absorbed, compared with normal cooking and chewing alone. 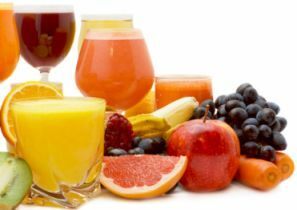 Any variety of fruits can be used in green smoothie. Making a daily green smoothie can be a tasty and easy way to deliver the high nutrient content of spinach to your body. Ensure you always use fresh spinach that hasn’t been stored for too long. Even better... think about planting your own spinach so you have a ready supply. And freeze extra spinach for the winter. You also save money that way! Achieving inner health and longer lasting vitality is possible by reaping the benefits of spinach in your daily diet.